FORT MYERS, Fla. – Spring is in the air and so are some of the best flavors around, as the Food Truck Festival of America makes a stop in Fort Myers. The festival features more than 20 trucks from Cape Coral to Naples, even Miami, with a variety of mouth watering food. Serving everything form fall-off-the-bone BBQ to tacos, pizza and of-course famous Boston-style roast beef sandwiches. Gates open for VIP entry at 11 a.m. and general admission opens at Noon. VIP entry costs $20 and includes early no-line access, free non-alcoholic beverages and free dessert. General admission only costs $5, the festival runs until 5 p.m. 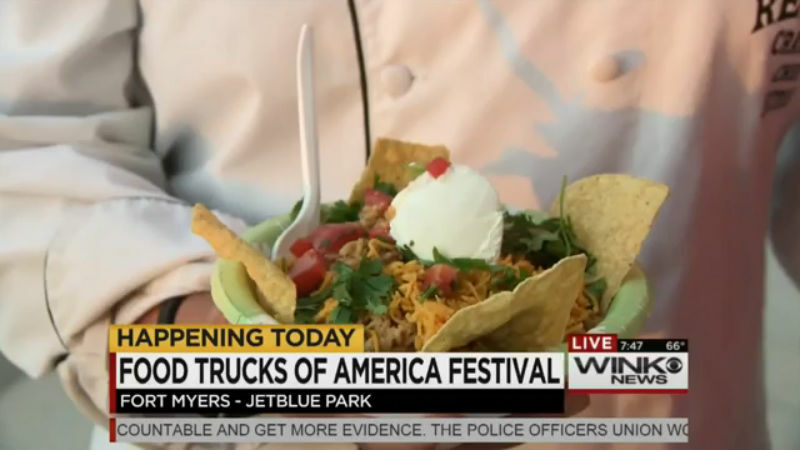 The Food Truck Festival of America is taking place at JetBlue Park, located at 11500 Fenway South Drive in Fort Myers.